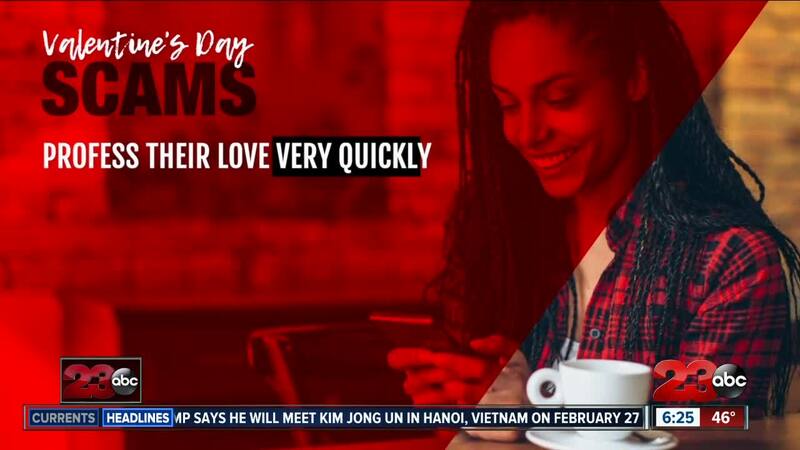 The Better Business Bureau is warning that con artists are targeting online daters using Valentine's Day to potentially steal their money. Here are some of the tell-tale signs of a scammer you should look out for. They also say the scammer might have a sob story and ask for money. The BBB says to never wire money and to not list much personal information on your online dating profile, including contact information. Some scammers may even use fake pictures. IMG Ops is one website that can help. All you do is upload a picture and it tells you where else the picture has been posted. You can do a reverse search on Google through IMG Ops.